Pasta is the ultimate comfort food -- but let's face it, it can get a bit dull sometimes. So a great way to jazz it up is to make it look pretty in pink! 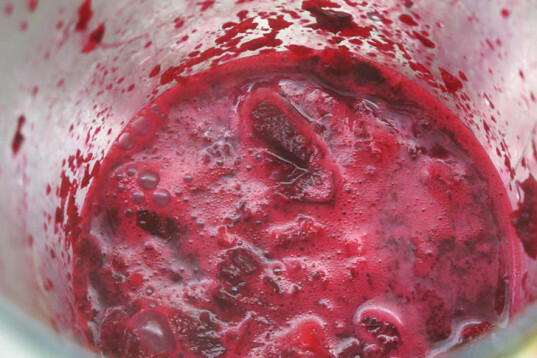 To get this dazzling fuchsia shade we used just a single beetroot, which not only works as a brilliant natural food coloring, it also adds a subtle sweet taste to the carbs. 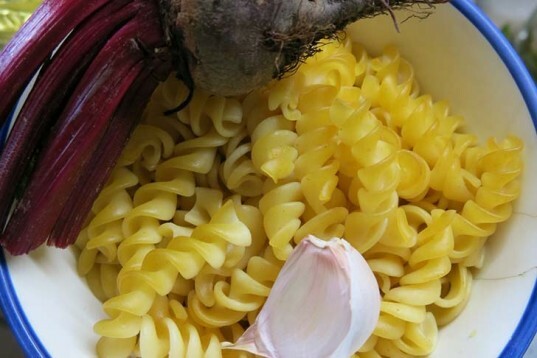 Dyeing pasta with beetroot is easy and takes less than 5 minutes. 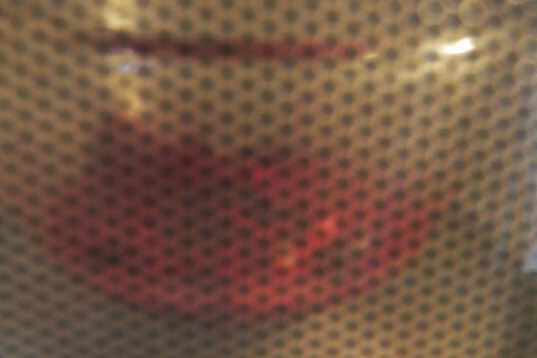 Just heat up and mash the root, and mix it with the pasta until it absorbs all the rose juices. 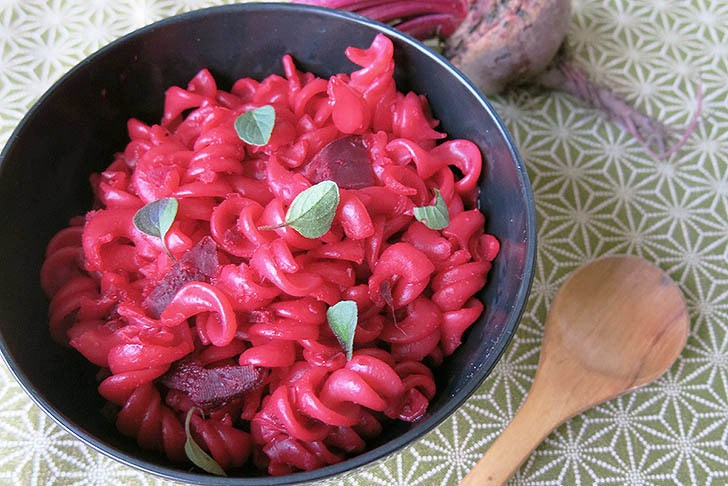 An ideal idea for revamping last night's leftover pasta, this electric pink meal will put a smile on everyone's face! 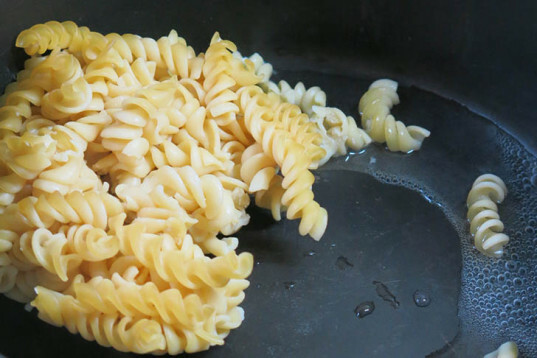 Heat up the leftover pasta in a pan with some water and set aside. To make the vibrant pink sauce, cut the beetroot into small pieces, mix with the chopped garlic clove and heat up in a pan or for 2 minutes in a microwave so the root softens. Bring the pink mix into a plastic jar and blend away. 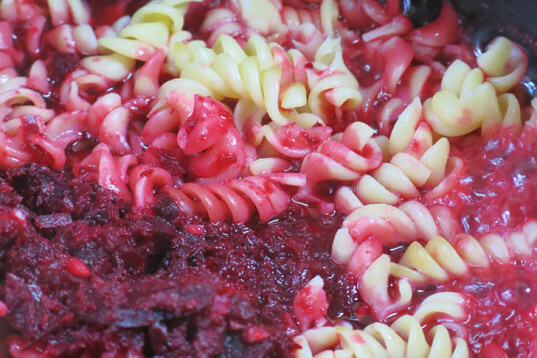 Don’t worry about leaving some beetroot chunks — you can eat them later with the pasta. Add the sauce into the pan with the pasta and stir for a few minutes in moderate heat until everything turns bright pink. Serve and decorate with fresh oregano, a dash of extra virgin olive oil, marine salt and pepper, or add some raw green leaves for a surprising and high contrast dish! To make the vibrant pink sauce cut the beetroot into small pieces, mix with the chopped garlic clove and heat up in a pan or for 2 minutes in a microwave so the root softens. Bring the pink mix into a plastic jar and blend away. 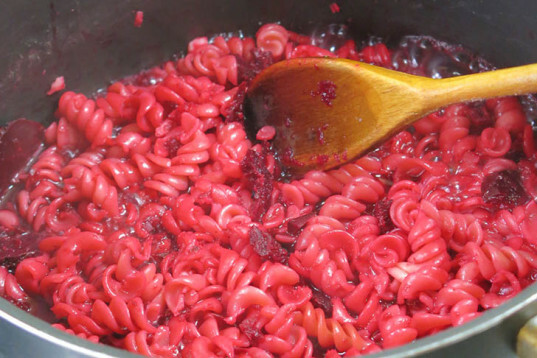 Don't worry about leaving some beetroot chunks; you can eat them later with the pasta. Serve and decorate with fresh oregano, a dash of extra virgin olive oil, marine salt and pepper, or ad some raw green leaves for a delicious, and high contrast dish!